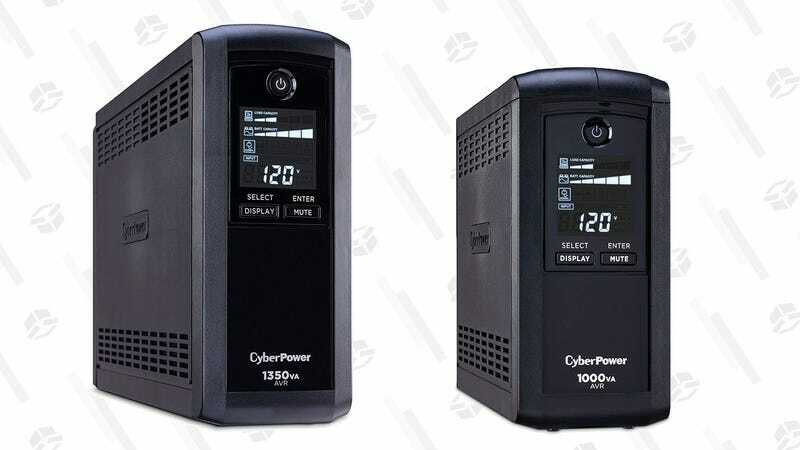 If you ever have to deal with power shortages and brief outages, Amazon’s offering all-time low prices on a trio of CyberPower UPS battery backups, today only for Cyber Monday. If you use a desktop computer, these will of course keep your machine running without any interruption in the event of a power outage, which means you won’t lose any unsaved work. But even if you only use laptops and mobile devices at home, they could still run lamps, your router and modem, or even a TV until the power comes back on.